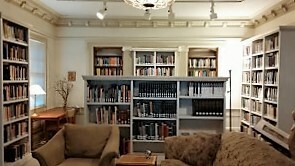 With over 3,000 items in its growing collection, the Fae Dougan Library is a unique and rich resource for the Jungian community in Oregon. A trove of books and hundreds of recordings of OFJ events are available for loan to members. The Library’s reserve collection includes core Jungian texts as well as Jungian journals such as the The Journal of Analytical Psychology.